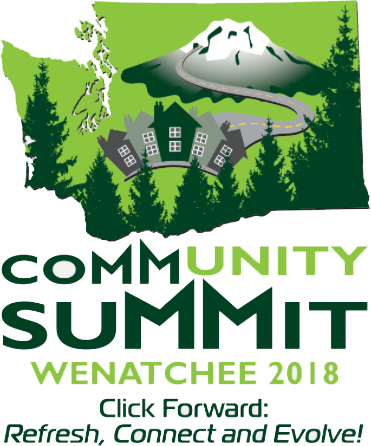 2018 Community Summit: Refresh, Connect, Evolve! The Developmental Disabilities Administration is pleased to announce the 6th Annual Community Summit. This 3-day conference brings together people with disabilities, their families, community service providers, public employees and other interested individuals to meet, learn, and share ideas on a variety of topics. Local and national-level speakers present sessions on community development, person-centered planning, and trends and issues in employment, housing, advocacy and inclusion. This year’s theme is “Click Forward! Refresh, Connect, Evolve,” with a focus on technology and its use in our workplaces, homes, and communities.